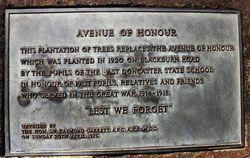 A plantation of 27 trees replaced the Avenue of Honour originally planted along Blackburn Road in 1920 by East Doncaster school children. The trees from the original avenue were removed for road widening. 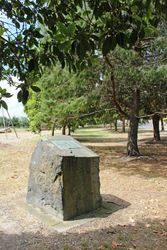 Who Served In The Great War Of 1914-1918. The Hon. 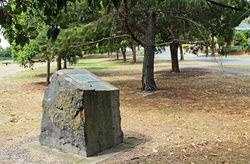 Sir Raymond Garrett, A.F.C., A.E.A., M.L.C. On Sunday 20th April, 1975.